SkySentry keeps its finger on the pulse of leading communications and surveillance technologies, so it can agnostically recommend payloads to meet customers’ requirements. Very light, high-performance payloads are now available, with Size, Weight, and Power (SWaP) immensely better than those of just a few years ago. This reduced SWaP allows much smaller aerostats to perform significant missions than was possible before. We also work with customers to lift their payloads, in lieu of those that can be provided by SkySentry associates. We invite customers to contact us or visit various of our associate websites for more information on tiny cameras. 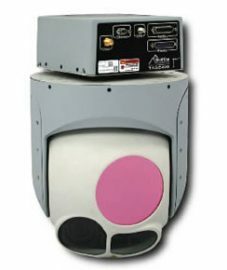 For example, the Sierra Pacific Innovations Corporation’s M2-D camera provides full electro-optical infrared functionality, with fully mature ground control station, while weighing only 249 grams. Similarly, the Trillium HD-50 camera, while closer to 5 kilograms in weight, is well proven for its EO-IR performance in rugged operational environments. Volumes can be written on this functionality. Our aerostats essentially enable you to put a communications tower in the sky at 500 feet or more in about an hour. This altitude provides about 30 miles line-of-sight distance to the horizon over level terrain. General categories of communications include repeaters, cellular phones, ad-hoc mesh networks, and others. Each has its best use paradigm. In essence, repeaters allow land mobile radios to increase their range in challenging topography with relay over ridges and other obstacles, sometimes for hundreds of miles. Cellular phone payloads are very popular, due to the ubiquitous use of cell phones by nearly all modern populations. 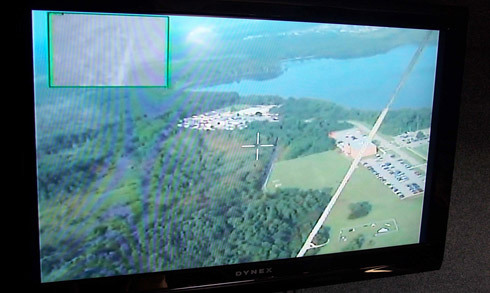 SkySentry’s cell payloads enable all functions of modern Smartphones and moreover an area of about 300 square miles. Please refer to our Tacti-SphereTM discussions on our Home Page for more details about communications performance. Ad-hoc mesh networks, also known as MANETs, are self-forming, self-healing relays in which all radios in the network serve as call routers on a peer-to-peer basis. 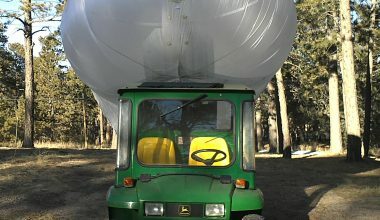 In this case, the aerostat node can either talk to the participant radios individually or serve as a long-range tie to Points of Presence outside the MANET. Please let us know your payload requirements. SkySentry has already integrated many payloads in the above categories. If the customer wants a different type, SkySentry is highly experienced and effective in the process.